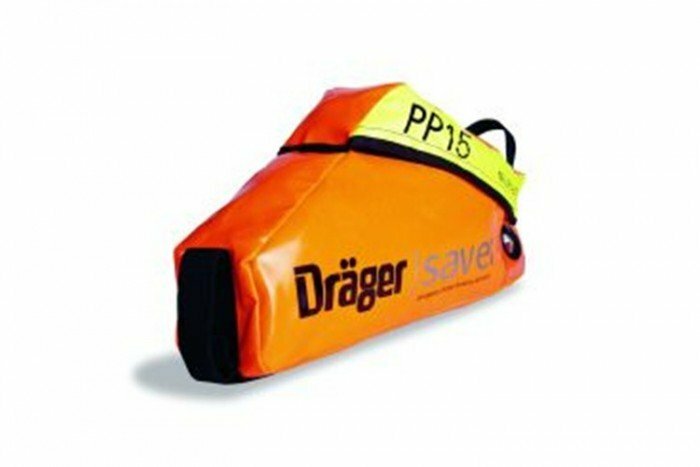 Drager Safety offer this spare bag for the Saver PP15 emergency escape breathing device. This bag is not the anti-static option; it is a standard version of the spare bag. In an emergency situation you want to be certain that the equipment you are using is reliable and accessible but not in the way of your job. The handy bag allows you carry around this 15 minute escape set and also protect the mask and cylinder from any damage. It is possible the bag on the PP15 may become tainted or damaged with use or over time; this is why the spare bag is such a convenient accessory. Additional spare bags are available for other options in the CF and PP Saver range. Visit the pages below for more information.